If you take East Tennessee as a whole, it’s pretty safe to say one of the most prolific hatches is the sulphur mayfly hatch. Southern tailwaters are generally not known for having significant hatches of mayflies, caddisflies, or stoneflies. When we think of most of these dam-controlled rivers, we typically think of crustaceans like scuds and sow bugs, and midges…. lots and lots of midges. 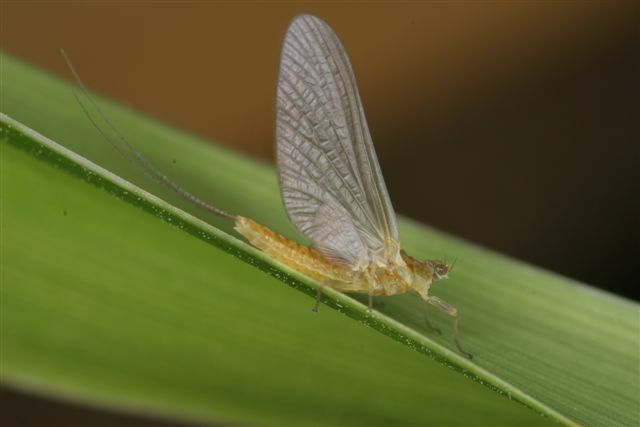 However, one mayfly that hatches on all East Tennessee tailwaters, often in very big numbers, is the sulphur. 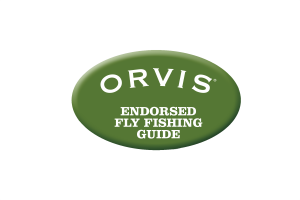 And that means that your best opportunity to catch a really big fish on a dry fly around these parts is during the sulphur hatch. On the South Holston, they hatch in huge numbers for nearly nine months of the year. They hatch on the Holston, Hiwassee, Watauga and Caney Fork, too. But when I think of the sulphur hatch, I think of the Clinch River. This is probably because it was the first really BIG hatch I ever fished. It’s not quite as epic as it was 20-30 years ago. I won’t get into the reasons why. But it is most definitely still a hatch worth making time for. The hatch usually starts in late April on the Clinch and often lasts well into July. May is the best time to fish it. In April, the bugs are usually just starting to trickle off fairly inconsistently. By mid June, trout have been seeing these things come off by the thousands for 4-6 hours a day, for 6+ weeks. To say that they become selective is an understatement. But in May, bugs are coming off steadily and the trout haven’t yet learned to count the hackles on your fly before choosing to eat it. They don’t seem to care if it’s on the surface, in the film, or 2” below the surface. In July, that stuff matters! In May, pretty much any pale yellow, size #16 dry fly will do the trick if it’s presented on a dead drift. 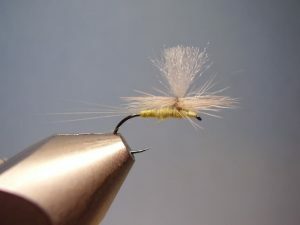 Parachutes and Comparaduns tend to be the best choices for dry flies. And there are a host of more sophisticated emergers and cripples to fool the wary, late-hatch fish. 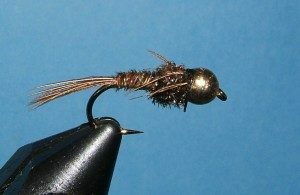 Pheasant Tails in brown and olive are usually the best option for nymphs. While exact time and duration varies, the sulphur hatch on the Clinch typically starts in late morning and lasts for 4-6 hours a day, taking you right up to happy hour. Drifting Pheasant Tails will pass the time in the morning while you’re waiting for the main event to start. Sulphurs are a big deal in the mountains, too. While they won’t come off in the obscene numbers found on the tailwaters, they are still one of the better hatches of the year. In the mountains, the hatch usually lasts 3-4 weeks and tends to be more of an evening event. Many nights, the sulphur hatch will correspond with the Little Yellow Sallies’ return to the water to lay eggs. This makes for a fast and furious end to the day for those willing to fish through supper.